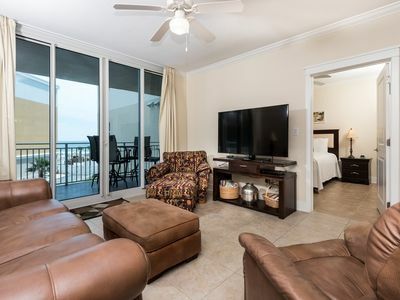 NEWLY RENOVATED, TOP FLOOR, GULF FRONT UNIT! 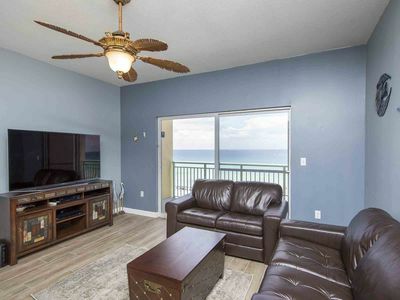 BREATHTAKING VIEWS W/ BCH SERVICE! NOW WITH BEACH SERVICE SET-UP!! 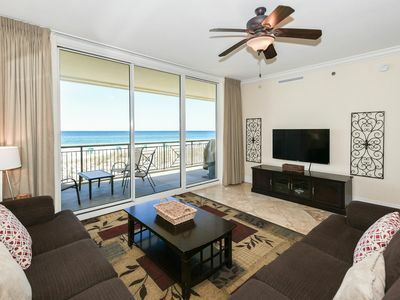 SAVE $30 A DAY - BEACH SERVICE IS INCLUDED WITH YOUR RESERVATION. YOU WILL RECEIVE TWO CHAIRS AND ONE UMBRELLA. 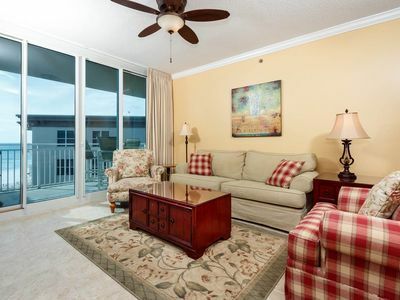 NO MORE LUGGING BEACH CHAIRS AND UMBRELLAS TO THE BEACH, IT IS CONVENIENTLY SET UP FOR YOU EVERY MORNING! 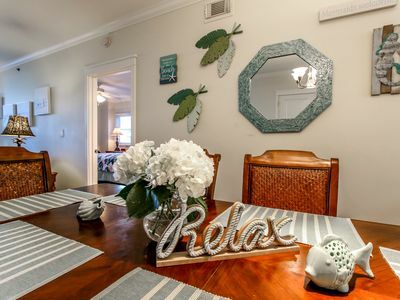 Yes, you'll find everything in our beach-front condo that you have in your own home, in order to make your stay here as enjoyable as possible. The living room has a mirrored wall, with brand new living room furniture. Also, there is a new flat screen TV and a Wii Console with controllers to keep you entertained! 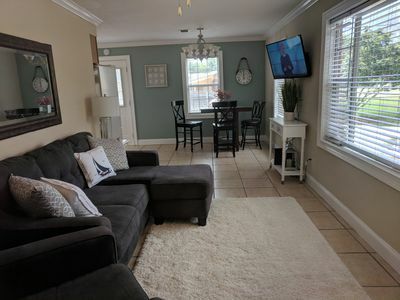 You'll love the newly renovated, well-equipped kitchen, your own washer and dryer, a bathroom with a tub and a most convenient half-bath in the bedroom. 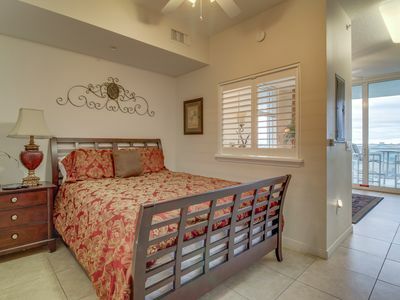 The bedroom has a very comfortable king-size bed, a large closet, and two chests of drawers that are invaluable for long-term renters. 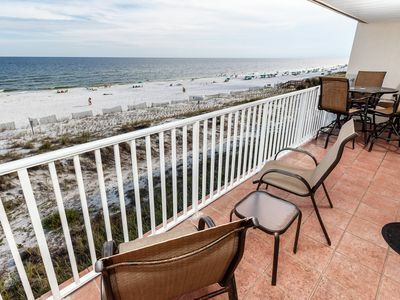 Located directly on the beach with fantastic views of our beautiful white sand beach and emerald green waters of the Gulf of Mexico. 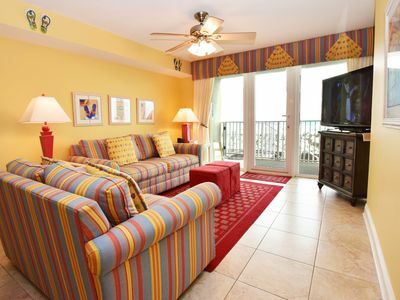 Enjoy the most beautiful sunrises and sunsets from your own private balcony. Enjoy lounging by the pool when you're not at the beach. 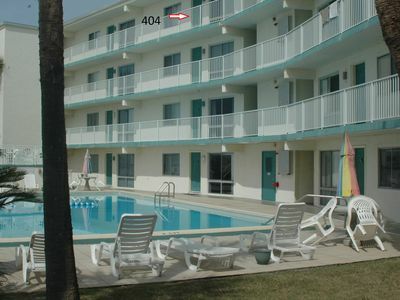 Our pool is always sparkling clean and usually not crowded. 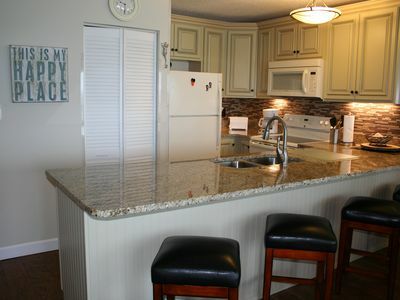 A barbecue grill and table are conveniently located near the pool area for all your grilling needs. An awesome romantic vacation or a memorable family vacation on the beach, there's lots of activities for everyone to enjoy!! And for your convenience, we now have BEACH SERVICE! This saves you up to $30 each day from having to rent chairs and an umbrella daily. Beach Service includes a free umbrella & 2 lounge chairs set-up right on the beach waiting you to enjoy every morning. 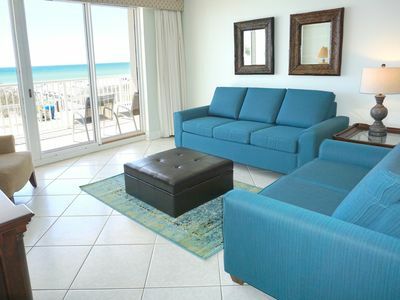 We also offer additional beach chairs in the condo for your use. 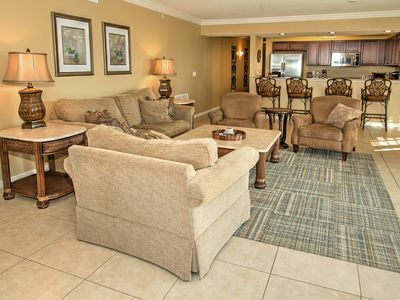 We are away from the crowds of busy Destin but only a short drive away from all the activities Destin has to offer. 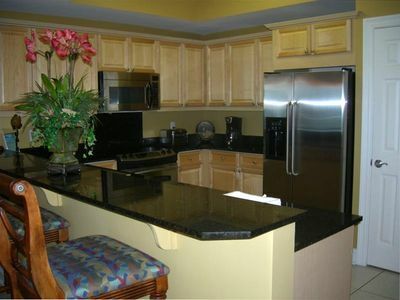 Shopping galore, charter boat fishing, restuarants, night life and water parks all nearby! 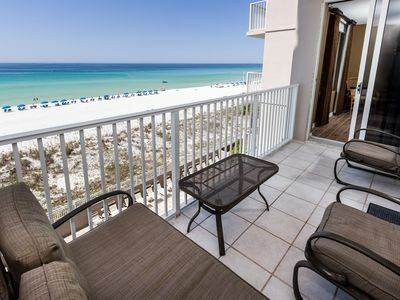 Beautiful views at affordable rates directly on the gulf! 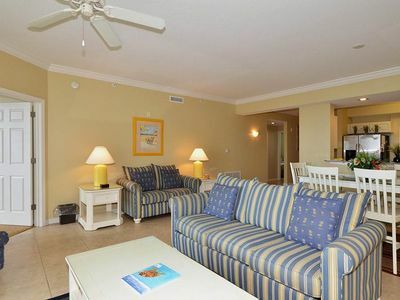 Our wonderful condo directly on the beach is waiting for you! You Deserve it, Reserve your vacation now! 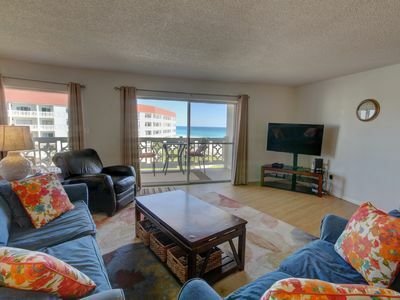 "The Palms 304" Gulf Front Condo,,, Beach Service Included,,, Watch the dolphins swim by!! 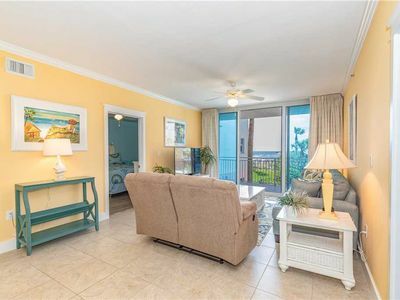 Updated Beachfront Condo with Private Balcony and Community Pool. Free Beach Service! 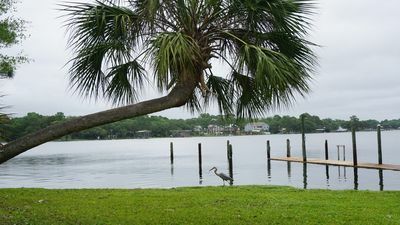 Waterfront, Private Dock, only 10 minutes from beautiful white sand beaches. This is a 3/1 . 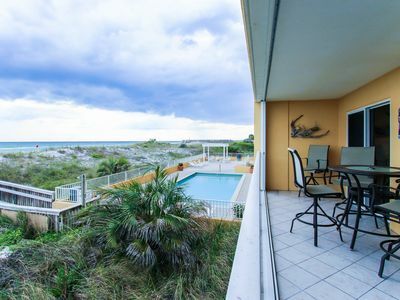 Home 5 minutes from the Gulf . 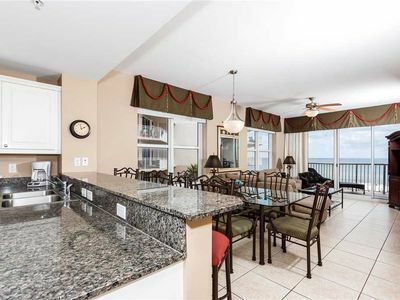 Gorgeous condo! Completely updated, comfortable, huge deck! Great Location!